Security camera systems are being installed in rapid numbers by both public and private institutions, leading many to inquire about the the growing appeal of video surveillance. 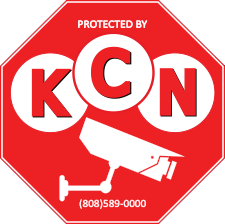 There are many benefits to installing equipment to a home or business both to protect the safety of those inside and act as a monitoring device when the residence or building is empty. Security cameras keep an eye on things around the clock and record every single action that takes place in the line of view. Some security systems can be connected to the internet, allowing residents and business owners to check up on property from remote locations. Many working parents choose to install security cameras on their estates so that they can watch their children safely come home from school even if they are unable to be there in person. When people see security cameras, they are less likely to act out for fear of getting caught. As video surveillance records everything, it will catch shoplifting, thefts, assault and other crimes on tape that law enforcement officials can use as evidence to prosecute the criminal. For this reason, many cities have decided to install security systems on buses and trains and in other public areas. Many thefts are carried out by employees or workers who are left alone in a business or residence. As these individuals have easy access to valuable items, security systems allow owners to watch over their belongings without physically being present. Security systems can help prevent criminals from filing false charges against a company. If an incident occurs, these individuals may try to exploit the business for personal or financial gain. In applicable cases, video surveillance can help companies prove that allegations are false with a visual documentation of the actual altercation. When workers know they are being watched, they are likely to be more productive. Businesses can benefit from worker productivity, and managers can monitor employees to ensure they are performing all of their required tasks and duties. Many large companies use video surveillance to pick up on customers’ trends and habits. The footage allows analysts to consolidate information from different locations and figure out ways to promote a positive experience, including product placement, shopping patterns and prevalence of employee interactions.